Manhattan Neighborhood Network is the country's largest community media center. We supply the training, equipment, facilities, and channels you need to create your own TV show. Get involved. MNN’s El Barrio Firehouse Community Media Center is a local hub for adults and youth interested in learning about media production, exploring El Barrio's rich culture and working for social justice. Learn more. By enrolling in MNN's small, low-cost classes, Manhattan residents develop the skills they need to share their stories and create the best local programming on television. Register for classes today. With 5 channels (and counting!) and live streaming, MNN provides community producers the opportunity to share their work with audiences in Manhattan and beyond. Watch Now. MNN’s professional equipment and state-of-the-art studios give community producers the space to create high-quality, broadcast-ready media. Explore our facilities. Submitting a show to air on one of MNN's five channels is simple! Just fill out a timeslot request form, upload your media and promote your show. Learn more. Get a first hand look at the MNN interim E.D. Robert Devine and his hopes for the Future of MNN and Public Access. 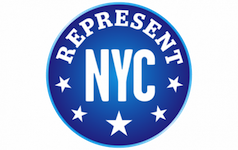 Represent NYC is a weekly program that gives local elected officials and candidates the chance to update voters about the issues shaping the future of the city. YC Spotlight: Dogs of New York City. Must love dogs! Join Raymond, co- host of Slime, as he speaks with dog owners across the city walking their furry friends.